On January 24th, Columbia/Epic/Legacy will release the 17-CD box set, The Complete Albums Collection, which contains every studio and live album that featured the classic line up of Rob Halford, Glenn Tipton, K.K. Downing, and Ian Hill. 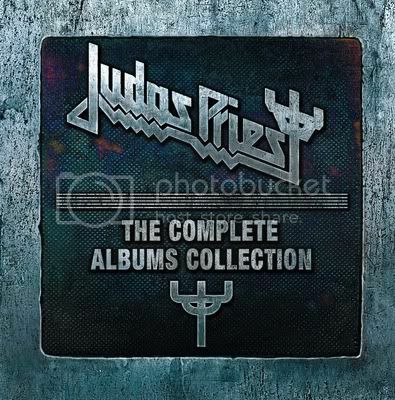 Included will be brand new remasters of Priest's first two albums, 1974's Rocka Rolla and 1976's Sad Wings Of Destiny (which have never been released before as authorized remasters by the band), in addition to each individual album being packaged in a replica mini-LP sleeve reproducing that album’s original cover art. And although the 2009 live compilation, A Touch of Evil…Live is included; no other compilations will be present. Also featured in the set will be a 40-page booklet with photos, album credits, and liner notes by rock journalist/Priest fan Greg Prato. 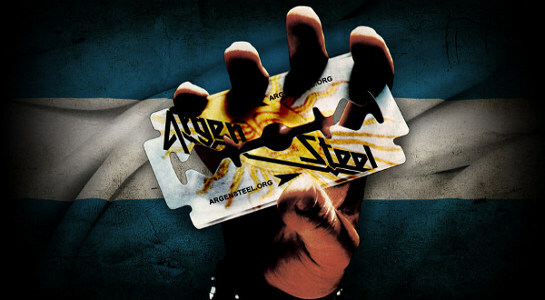 The Complete Albums Collection will be available for purchase exclusively via Popmarket.com. It's not often that you can acquire all of the classic albums by one of rock's all-time great bands in one gorgeously assembled package. 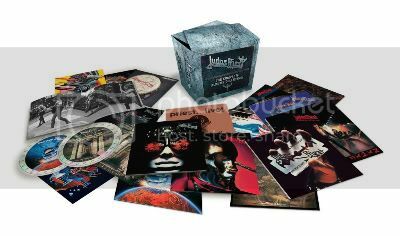 Judas Priest's killer The Complete Albums Collection is certainly one of these rare occurrences. EDIT: Speak english in this section plese.